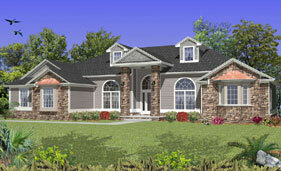 Traditional home plans usually do not have porches but will have covered entryways. 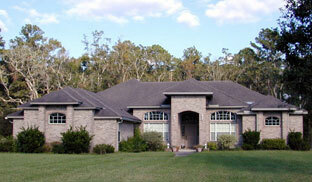 They usually have hip main roofs and bold, front facing gables. There will be several main ridge lines running both parallel and perpendicular to the street. The exterior material could be clapboard, brick, stucco or stone. These homes strive for a grand appearance. • One of the most popular styles of homes in the U.S.
Click here to search our Traditional Style House Plans! Not the style you're looking for? Use our Advanced Search to find your perfect house plan!